This time it is great. Sarah Hund, who you will remember as one of my Destination Actors and regular on the Indianapolis stage, has a side addiction. It is called The Blue-Eyed Bettys. What is "The Blue-Eyed Bettys"? 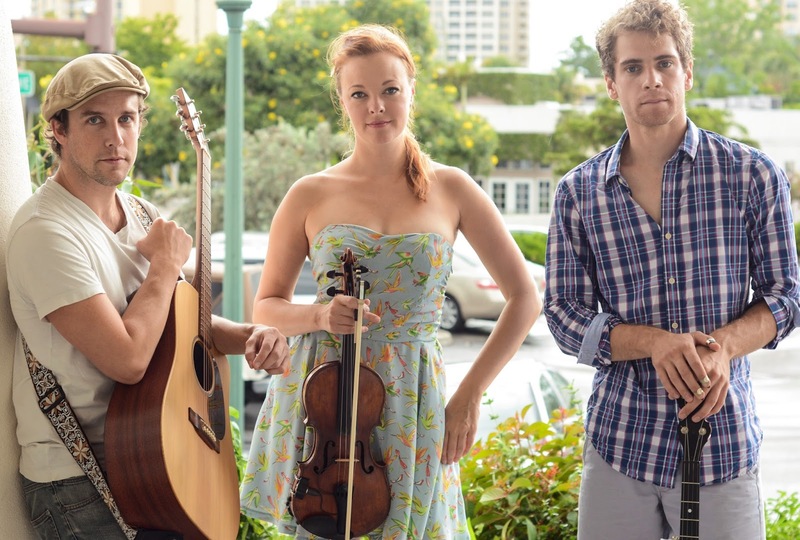 A folk music group of three musicians and singers expressing their love of theater, music and America with audiences across the nation. 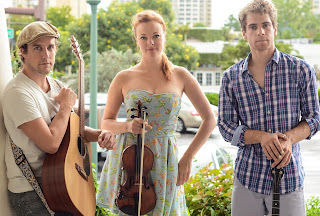 Daniel Emond and Ben Mackel, are the two other blue-eyed band members. This love brings them to Indy Friday, June 26 to perform at 8 p.m. in the trendy Fletcher Place~Fountain Square neighborhood. The free show will be held at local brewery spot Chilly Waters, 719 Virginia Ave., #105. Hund will reprise her critically acclaimed role as June Sanders, the (ironically) non-singing family member of a singing church group in Smoke on the Mountain: Homecoming. Running July 9-August 16, the smash hit live show has proven to be a sell out production time and again at Beef & Boards Dinner Theatre. I believe June 26 will be just about the time there will be a need to try out the Chilly Water brews with a friend or two, and catch some folk music by the multi-talented Ms. Hund. Join me, won't you?